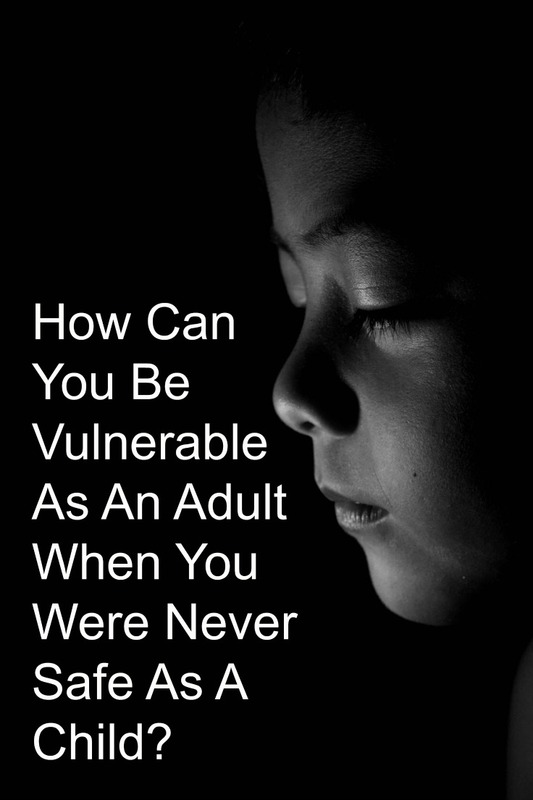 How Can You Be Vulnerable As An Adult When You Were Never Safe As A Child? It’s no wonder why being vulnerable is so hard for so many. We learn to feel safe in the families we grow up in. Those of us who are lucky see two fairly healthy parents supporting each other’s strengths, and having compassion for their inevitable struggles. Mistakes aren’t used as weapons when there’s conflict, but are forgiven. Differing viewpoints are respected, and compromises are reached. Kids watch, absorb, and learn that when they reveal a problem or something painful, it’s met with understanding. Sound like The Brady Bunch to you? My first rotation in graduate school, where I began getting hands-on experience as a psychologist, was on the children’s unit of Terrell State Hospital, outside of Dallas. We housed around 25 five to eleven year-old boys and girls. They were far from lucky. They were kids. They laughed and played. They fought and cried. Many had suffered vicious abuse from their parents. Some had little control over their behavior due to severe mental illness. A few had both. So many times, their reactions to adults and to each other was stunted and skewed by what had happened already in their short lives. I was given the task of running a group for some of the youngest girls — basically on healthy ways to feel about your body and yourself. They’d all been sexually abused. I listened as six year-old Natalie tried to explain the cruel things that had been done to her, and how sad she was. I watched as little hands were held out in comfort and understanding. I at times felt surreal, as they nodded their heads and talked about sexual behavior like much older children. I tried to guide, but was aware of the damage already caused. I wonder if Natalie could ever be vulnerable. And then there was Max. Max was built like a tank. When he laughed, his whole body shook. When he ran, it was at warp speed. When he drew his body like he believed it looked, it was grossly malformed and resembled a monster much more than a human. Max had also been abused in every way possible. We took walks and he opened up. Very slowly. When he left the hospital, he gave me my first “present” from a patient. It was a painted plaster lady bug. I was heartbroken years later when it fell apart. 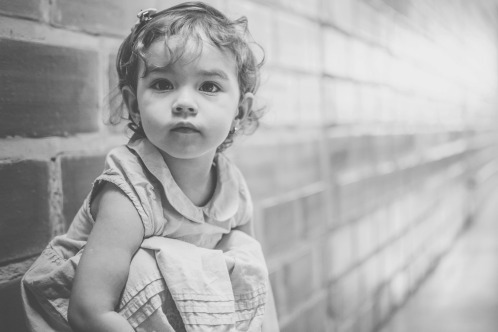 How can you risk being vulnerable when parents didn’t protect? Or, in perhaps a less dramatic but very potent way, those parents gave you the message that you weren’t important? If you were hurting, you heard, “Too bad.” If you were frightened or sad, “Get over it.” “Man up.” If you were in pain, there was deafening silence. Recently, I worked with a man, Matthew, whose past was perhaps the most frightening I’d ever heard. Horrific things had happened to him, and he had a past littered with drugs, gangs, crime and imprisonment. He could’ve been Max — all grown up. Having children changed Matthew. Or I should say, he allowed having children to change him. He was fighting huge temper problems and depression, but he wanted therapy. He’d never seen anyone before, and as he began to talk, brief tears that were quickly brushed away came into the same eyes that had been coldly cautious and eerily frightening when I first met him. He revealed not only what he had done, but what had been done to him. He watched me intently for signs of judgment or disgust, like a thirsty animal finding water but afraid to let down its guard, and drink. His huge frame slowly began to relax. He came to therapy only a few times. He thanked me for listening. He thanked me for caring about his world, his reality. I was the one who was grateful. For Matthew showed me, once again, how courageous people can be. No matter how much hurt there is, no matter how victimized you have been, no matter how guilty you are of creating pain for others, you can find trust. You can reach out. You can try to connect. You can risk being vulnerable. And hopefully, find some peace. It gives me hope for Natalie. I’d love your comments below!. Or you can join in on FaceBook or Twitter with the hashtag #VulnerabilityMakesMeStronger.